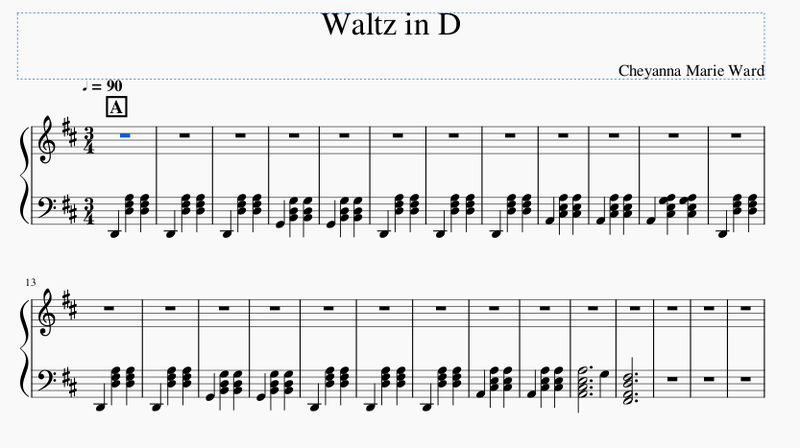 So I started writing a waltz. I have been mainly focusing on the bass line because I got advice from someone that if I focus on the bass progression, the basic melody will just come to me. And once I have that basic melody, I can embellish it however many times I want until I get a pretty melody that isn't boring. And I have made 2 images of the same section, one to highlight the different parts and the other to make the notes easier to see. As you can see, I end with a first inversion tonic chord which still has tonic function but is less stable. 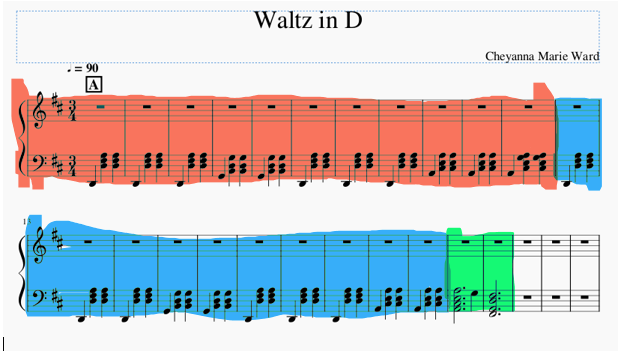 Highlighted in red is the first phrase which ends with a half cadence(which I think is at the dominant triad instead of the seventh chord and that the seventh chord is just to transition to the second phrase). Highlighted in blue is the second phrase. And highlighted in green is the authentic cadence at the end of the second phrase. This is an imperfect authentic cadence because while the dominant triad is a regular cadential dominant, the tonic triad after it is in first inversion. I wasn't wanting too much finality but I wasn't sure that I wanted to extend the structure either, using a half cadence. The IAC is like the middle ground between an HC which gives a sense more music is coming and a PAC which gives a sense of total finality. So I was wondering, is it okay to end my period with an IAC like I did or should I do a leap to root position and end with a PAC? I see that some are calling this "opinion based," but I think that's a little misguided, because there is a clear definition of "period" that helps answer your question. A large part of what defines a period is that the second cadence is more conclusive than the first. Without this weak–strong pattern, we don't have a period structure (at least not in the classical style). With this in mind, your antecedent ends with a half cadence. Your consequent ends with an authentic cadence, which is more conclusive. Ergo, this is an adequate period structure. Having said that, a root-position tonic would be still more conclusive than your inverted tonic. As such, your music may leave the listener with unresolved tension that you can work with throughout the rest of your composition. Not the answer you're looking for? Browse other questions tagged composition harmony cadence or ask your own question.